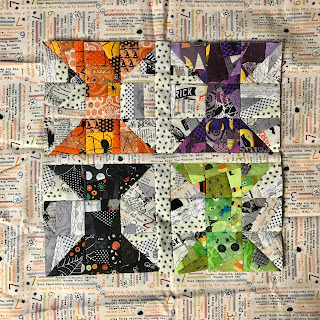 I've been having fun sewing a secret project for Christa Watson's blog hop launching her new book: Piece and Quilt with Precuts. I picked her Spools pattern because I really enjoy freeform piecing and scrappy quilts. 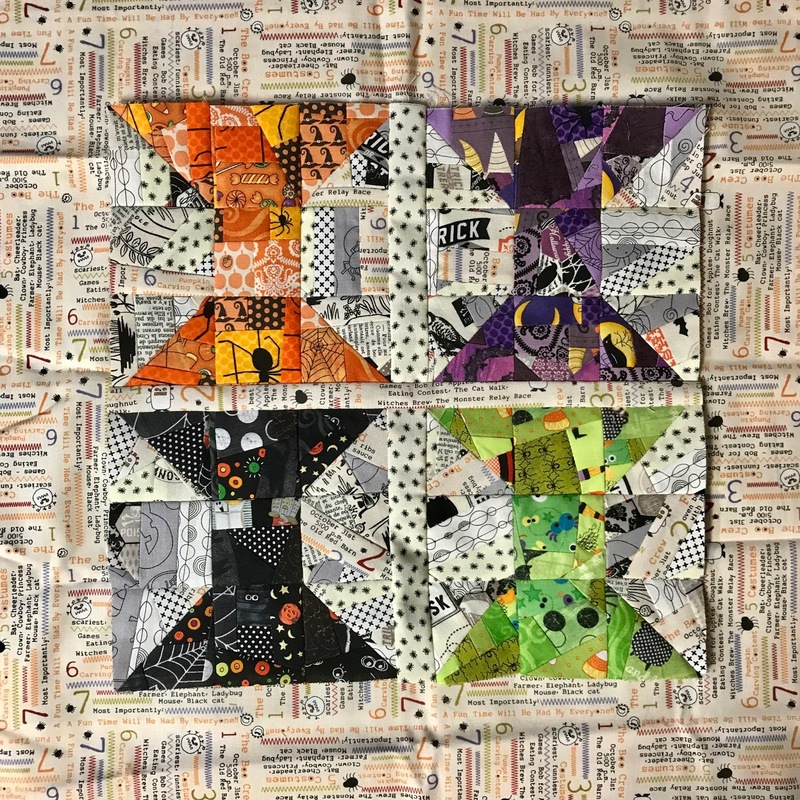 I chose Halloween fabrics for a fun revamp of the pattern and then I proceeded to really make the pattern my own by making it with TINY 2" blocks for a half size block of only 6 inches! And yes that is a lot of little pieces BUT you "make fabric" to cut the blocks form so it is easier that it looks. You'll have to stay tuned to see how I quilt it but I must note that Christa provides easy to follow detailed piecing and quilting directions and there are projects to keep all skills levels happy. GIVEAWAY Please leave a comment for your chance to win a copy of Christa's amazing book -sent as a computer PDF so be sure to add your email so Christa can contact you AND let me know your favorite kind of sewing or favorite pattern. I will choose a winner at 10 p.m. on Sept. 2nd. And be sure to stop by Christa's blog for more great giveaways as well as other versions of the Spools block. And of course to see all the other wonderful quilts made by my quilty friends in the Blog Hop!